Bruxism is the medical term given to subconscious or habitual teeth grinding. While teeth grinding may occur during the day, it most often occurs while you are asleep. Teeth grinding can cause tooth damage, pain, and discomfort, which may worsen over time. Botox® injections have been clinically shown to be an effective treatment for patients suffering from teeth grinding. Dr. Mark is proud to offer Botox® for teeth grinding in NYC to help reduce excessive muscle activity for patients suffering from bruxism. Bruxism, which is most commonly referred to as jaw grinding or teeth grinding, is the subconscious grinding of teeth. In most cases, teeth grinding occurs during sleep but may also be an issue for patients during the day. In some patients, teeth grinding may occur when they are stressed or anxious. Initially, teeth grinding may occur consciously as a response to stress or anxiety. Over time, this habit may become subconscious and worsen in severity without the patient realizing. Prolonged teeth grinding can lead to painful symptoms and a variety of complications. While traditional treatments for teeth grinding like mouth guards do exist, they do not treat the cause of bruxism at its source. Instead, mouth guards merely protect your teeth while you experience teeth grinding. For some patients, mouth guards may be uncomfortable to wear and make sleeping more difficult. Botox® for teeth grinding treats the main cause of bruxism to stop teeth grinding altogether. What are the symptoms of bruxism? Teeth grinding may cause a variety of uncomfortable symptoms, including tooth and jaw pain, a sore jaw, and trouble sleeping. Bruxism may also result in the onset of headaches or migraines due to continual teeth grinding. Over time, teeth grinding can lead to damaged teeth, severe jaw and mouth pain, and hypertrophy of the jaw muscles. Some patients may also begin to experience clicking, popping, or locking of the jaw joints. In more severe cases, bruxism may lead to ear pain, tinnitus, and an overall loss of hearing. Bruxism symptoms vary from patient to patient and may require a specialized treatment plan. 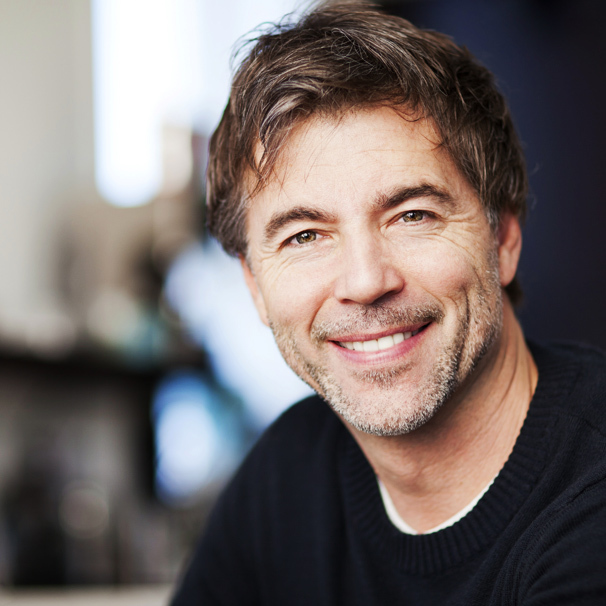 How can Botox® help treat teeth grinding? Botox® injections for bruxism help to greatly relax the jaw muscles and reduce hyperactivity of the jaw. While the jaw muscles are slightly weakened from Botox® injections, they are still strong enough to perform everyday activities, such as speaking and chewing. Botox® for teeth grinding weakens the jaw muscles very mildly in order to reduce teeth grinding but not hinder their ability to perform vital functions. How long do Botox® injections for bruxism take? The total length and individual details of your specific case will be discussed in detail during your consultation with Dr. Mark. While the quantity of Botox® injections may vary from patient to patient, Botox® for bruxism is a relatively short and minimally invasive procedure to treat teeth grinding. Dr. Mark is typically able to administer Botox® injections for teeth grinding in 5-10 minutes. Do I need continuing Botox® treatments for teeth grinding? While Botox® injections are an extremely effective treatment for teeth grinding, continuing Botox® injections are necessary to maintain results. For the best results possible, Dr. Mark suggests patients return every 3-4 months for continuing Botox® injections in order to successfully treat bruxism in the long term. Dr. Mark will decide the quantity and frequency of Botox® injections for teeth grinding that is ideal for your specific case. How do I get started with Botox® injections for teeth grinding? To learn more about Botox® injections for teeth grinding in NYC, call Central Park Oral Surgery at our Madison Avenue office at 212-813-0707 or request an appointment online to schedule a personal consultation. © 2019 CENTRAL PARK ORAL SURGERY. PC. ALL RIGHTS RESERVED. *Disclaimer: The information contained on this website is intended to be purely educational in nature and does not create a physician-patient relationship with Central Park Oral Surgery or any agent, servant or employee thereof. By no means should the information contained in this website be considered as a substitute for consultation with a qualified physician and it does not constitute a second opinion. This website and its contents do not represent or claim to provide the information needed for a patient to give his or her informed consent to any surgical procedure or are a reflection of individual patient results, as they may vary patient to patient. Individual results will vary and no guaranteed result is stated or implied by any photo use or any statement, testimonial, or video on this website. The results depicted in “before” and “after” pictures and stated by any “patient testimonial” illustrate results you may or may not achieve if you choose to have a cosmetic surgery procedure. Individual results may vary by patient. Please see our Notice of Privacy Practices.